Looking to own some real estate in Greenville & Hockessin? Here are 6 local area houses for sale, ranging from $289,900 to $919,900, as featured on realtor.com. 1. 6 Mount Airy Drive, Greenville ($689,999) - Fabulous custom built Landmark Home less than two years old, picture perfect showing like a model home! 3200 square feet of open flowing floor plan with ample windows and french doors exudes sunlight throughout. Main level complete with oak hardwood floors, formal dining room, family room at the heart of the home with gas fireplace, formal living room and office. Gourmet kitchen boasts upgraded inset shaker style cabinets with cararra marble countertops, stainless steel appliances, built in breakfast table and benches plus additional dining area. Master retreat on second level with his and hers walk in closets and four piece luxury bath. Three more generously sized bedrooms, one with it's own private full bath plus another hall bath with bedroom access. All this in convenient country-esque setting of Greenville! 2. 4917 Threadneedle Road, Greenville ($919,900) - For more than a decade, Astoria Builders, LLC, has established the brand for Custom Home excellence in Sedgley Farms. Since 2001, Astoria has built and sold twelve custom homes at its Wayland Road, Lands End Road and Threadneedle Road Enclaves. On this westerly sloped building lot, Astoria Builders is offering either the Neyland HomePlan or the Expanded Durham Park HomePlan at the same Base Price. As specified above, the Neyland has an Upper Level Master Suite. 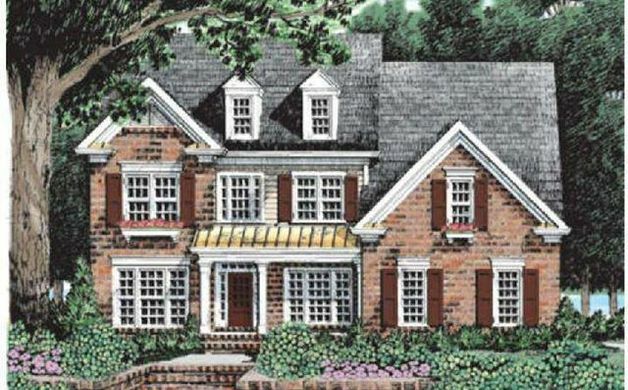 The Durham Park has a Main Level Master Suite and both plans present the opportunity for a walk-out/walk-up basement due to the site's gradient. Maintaining its marque as Sedgley Farm's premier custom builder, Viking appliances, site finished hardwood flooring, Kemper Classics cabinetry in kitchen and baths, .3 cm Granite Counter-Tops, and Grohe fixtures are part of the Base Price. At Astoria Builders the Base Price includes a Custom Home. Make an appointment with the L/A today to see the lot and to discuss your custom home requirements with the builder. 3. 400 Snuff Mill Road, Greenville ($650,000) - Gracious custom contemporary hillside ranch on private lane in Centerville. This spacious and sunny home features open floor with cathedral beamed ceilings, skylights, beautiful large rooms with scenic vistas, hardwood floors, large Granite and Corian kitchen w/ gas cooktop, Sub zero Refrigerator,& adjacent breakfast room with gas fireplace and large greenhouse window. Spacious and bright living room w/ hardwood floors,fireplace adjoins lovely Dining room both with glass doors opening to spacious wrap around deck. Master suite has vaulted ceiling, large walk-in closet and ensuite bath with skylight, 2 vanities and large tiled shower. 2nd Bedroom on main floor currently used as an office. LL Family room with brick gas fireplace and adjacent Exercise room with treed views. Private guest suite with bath. House freshly painted 2015 throughout. Systems are updated. Newer furnace. Septic new 2005. Property sits high with glorious private vistas from spacious oversized deck. Close to historic Centerville Village. Lovely well built home. 4. 1 Slashpine Circle, Hockessin ($439,000) - Location is why you will want to see this perfect home; Value is why you will buy it! 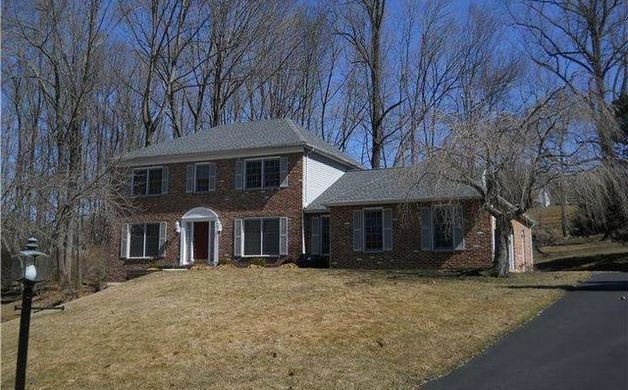 Located in the heart of Hockessin this move in ready home with updated d cor offers 4 bedrooms and 3 and a half baths. Drive up to the 2 car garage and walk right into the heart of the home, the bright and spacious eat in kitchen which is recently updated and features stainless steel appliances. On the first floor there is also a thoughtful office, large formal dining room, and cozy den with new windows and warm fireplace. No need to head to the basement to do laundry, it's also on the first floor featuring new cabinets, granite counters, and customer storage closet. Right next door is a large updated powder room. The finished basement has an open fitness area, full bath, walk-in storage, media area with theater lighting plus 2 additional rooms that are ideal as a hobby space and playroom. Upstairs there are 3 bedrooms, bright and peaceful, with large closets, newer carpet, and built in closet organizers. At the end of the hall is the spacious master suite with private bath and walk-in closet with custom storage. The yard is a junior Longwood Gardens, but easy to maintain with established plantings and mature trees and niche courtyard at the front and deck extending off the back of the house. Roof was replaced in May of 2010, security system installed in 2013, and hot water heater was replaced in September 2011. This property has everything to offer: community, updates, and storage; just bring your belongings and move right in! Add it to your tour today! 5. 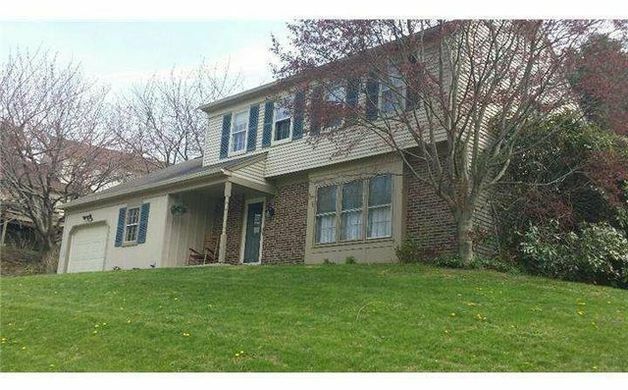 27 Woodridge Drive, Hockessin ($289,900) - This home is the best value that Mendenhall Village has to offer currently in the secluded detached home variety!! This well maintained beauty offers tons of space as it is one of the largest models available in the community! It houses 4 bedrooms Plus a roomy loft! It also boasts an ample family room And a spacious living room! This value packed home also has both a dining room and a breakfast nook off the kitchen! And one of it's nicest qualities is the open floor plan which flows from the kitchen to family room! Another pride point is the fact that this beauty is situated so nicely on a fabulous corner lot that offers seclusion by way of nature ... a line of greenery creates your own little sanctuary :) A newer roof, newer HVAC and many other small upgrades help to make this home the best value in the community! Do not miss this Veritable Value! 6. 110 Galileo Court ($479,000) - High quality renovations are evident the moment you tour this amazing Hockessin home! 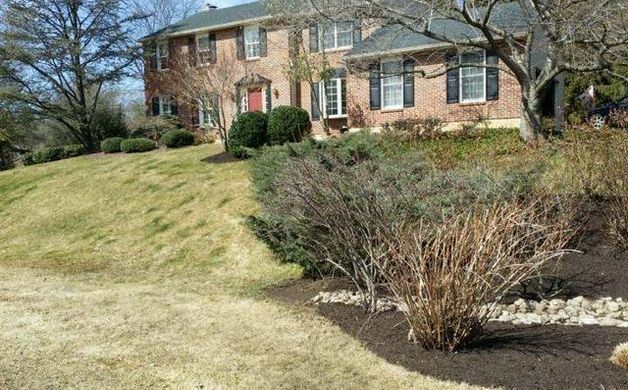 Elegantly situated half acre lot, on a cul de sac in a serene park-like setting, this home has everything today's buyers could want, and much more. You'll know this home is special, as you enter the foyer with hardwood floors & staircase, leading to the open living room w/fireplace, and formal dining room, both featuring wainscoting & custom built-ins. French doors lead you to the welcoming family room w/stone fireplace, open to the large kitchen and sunroom w/ vaulted ceiling & skylights. Gorgeous renovated kitchen features maple cabinetry, quartz countertops, stainless appliances, double oven, warming tray, abundant cabinetry, & large island with cooktop. The entire area has a terrific flow and is great for entertaining. Completing the first floor is a back bedroom, currently used as a spa, w/ vaulted ceilings & closet, which could easily be a den, bedroom, or office. Upstairs, you'll love the large master bedroom suite with three closets, & renovated full bath w/ heated tile floor, aromatherapy tub, and rain shower w/jets. Add two more bedrooms with ceiling fans, an open upstairs foyer area, & second full bath, and this space is perfect for a growing family. The finished lower level features an amazing custom wine cellar & tasting room, large media room w/ screen, projector, & surround sound, another recreation room w/kitchenette, and even more storage space. 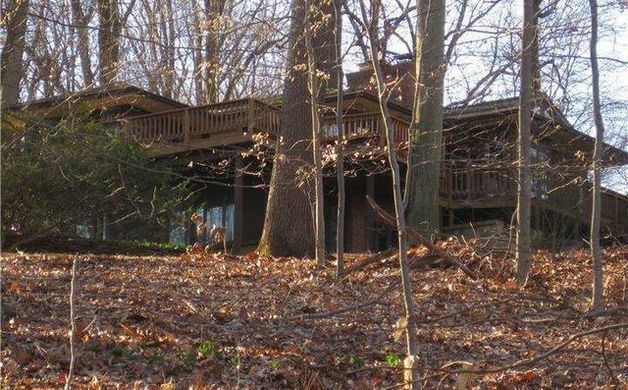 As much as you'll love the interior of this beautiful home, you'll enjoy the tranquil beauty of the partially wooded backyard w/ multi-level deck and privacy, as much if not more. Add Red Clay schools and the new Cooke Elementary right down the street, and you don't want to miss this house. Call for your appointment today!